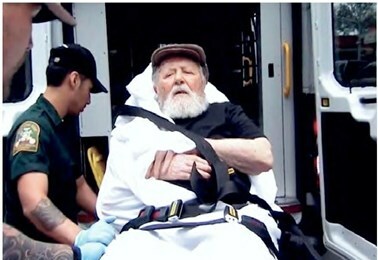 BERLIN (AP) — A 95-year-old former Nazi concentration camp guard who lived quietly in New York City for decades was carried out of his home on a stretcher by federal agents and flown to Germany early Tuesday in what could prove to be the last U.S. deportation of a World War II-era warcrimes suspect. According to the Justice Department, Palij served at Trawniki in 1943, the same year 6,000 prisoners in the camps and tens of thousands of other prisoners held in occupied Poland were rounded up and slaughtered. Palij has acknowledged serving in Trawniki but denied any involvement in war crimes.